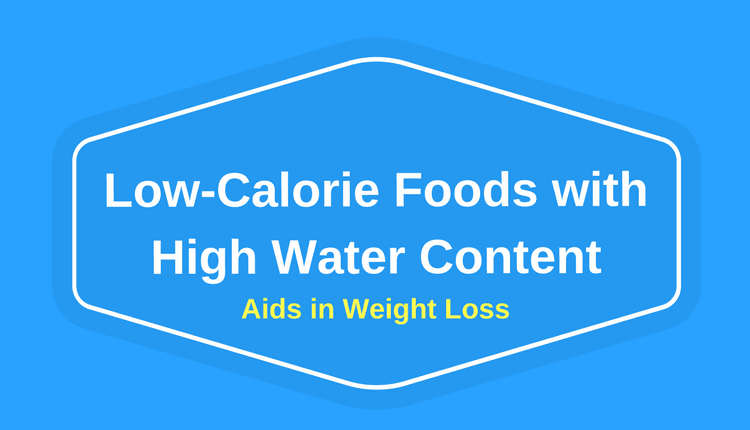 Foods with more water content that provide less calories and have a high satiety value are called ‘low calorie foods’. Such foods fill your stomach and delay hunger pangs because of their high moisture content and thus, less calories enter your body. By eating low calorie foods, you limit your overall calorie intake. Eating such foods is beneficial for those who want to reduce weight. Making these foods a regular part of your daily diet will help you in successful weight loss. Buttermilk is a popular dairy drink of India which is also known as TAKRA in Ayurveda. One tall glass of buttermilk (250 ml) contains approximately 60 calories. It is made by churning 1/4th part of low fat curd and 3/4th part of water together. Besides being a low-calorie beverage, buttermilk is a decent source of protein, calcium and probiotics. Drinking buttermilk before meals make one feel full and hence, decreases overall calorie intake. Cucumber is a high-water content vegetable, which consists of 92-96% water. 250 grams of cucumber contain just 40-45 calories. In India, cucumber is commonly eaten in the form of salads. Its high moisture content and presence of dietary fiber helps in flushing out toxins. This further relieves water retention, bloating and constipation. A big, refreshing glass of lime water (250 ml), without sugar or honey contains only 10-15 calories. This makes it an excellent beverage for calorie counters. However, one should keep in mind that lemon water is not a substitute for your nutritious meal. But, individuals can surely replace sugar-loaded drinks, sodas and other aerated drinks with a glass of vitamin C-rich lemon water. In India, lime water is easily available, and people often drink it to quench their thirst. Hence, people can incorporate this low-calorie beverage in their daily diet. Tomatoes have gained a lot of importance due to its high moisture and low-calorie content. 45 calories are present in 250 grams of tomatoes. Such a composition makes it suitable for those who want to shed some weight. A large mug (250 ml) of plain green tea, without honey or sugar merely contains 2-5 calories. Healthy compounds present in this guilt-free beverage further boost weight loss. Health-conscious individuals can replace their full-fat milk and sugar containing tea with green tea which hardly contains few calories. Mushrooms fall under the category of ‘low calorie foods’ because most of its weight is water weight. 55 calories are present in 250 grams of mushrooms. Its meaty texture makes it an amazing low-fat and low-calorie meat substitute. Furthermore, mushrooms contain good amount of dietary fiber, which makes one feel full. 250 ml of skim milk contains just 83 calories. Such a caloric content is much lesser than whole milk. Hence, consumption of skim milk can be beneficial for weight-watchers. India is blessed with an abundance of natural coconut water. 250ml of coconut water contains 48 calories. Watermelon is a juicy summer fruit and it is widely consumed in almost all the parts of India. Though it is sweet many people may think that it is high in calories. But this is not at all true. 250 grams of watermelon contain just 75 calories. Most of its weight comes from water, which makes it low in calories, more refreshing and promotes satiety too. Out of its total weight, 89% is water. This water helps in flushing out toxins that otherwise get accumulated and cause weight gain. This low-calorie food contains 43 calories per 250 grams. Besides this, papaya is packed with dietary fiber, which makes one feel full and delay hunger pangs. Hence, papaya is a good choice for individuals who are looking to lose weight. It is very well known that water does not contain calories. Strawberries contain 92% water which makes them a low-calorie food. 250 grams of strawberries provide 82 calories. Thus, when you eat strawberries you feel full because of its high moisture content. Cabbage, also known as ‘GOBI’ in India is an amazing low-calorie food. Besides this, it is packed with essential nutrients, body-healing compounds and antioxidants. Such a composition of cabbage helps in weight loss as well as fat loss. Eating a big portion of cabbage in the form of salad or soup will provide a high level of satiety and little calories. 250 grams of cabbage contain 62 calories only.